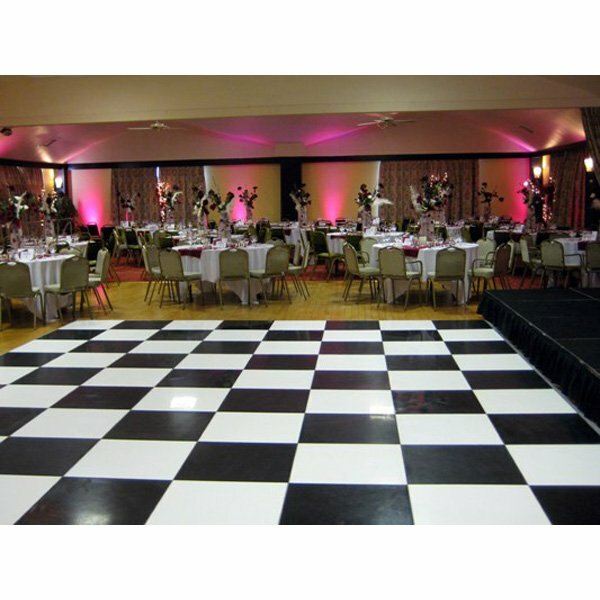 One of the most popular portable Dancefloors for a Party, this elegant looking Black and White Chequered floor simply locks together on installation. 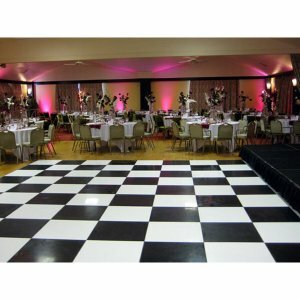 Dancefloor size will depend on customer requirements (room size, no of guests etc.) Please call sales office for a tailored quote.